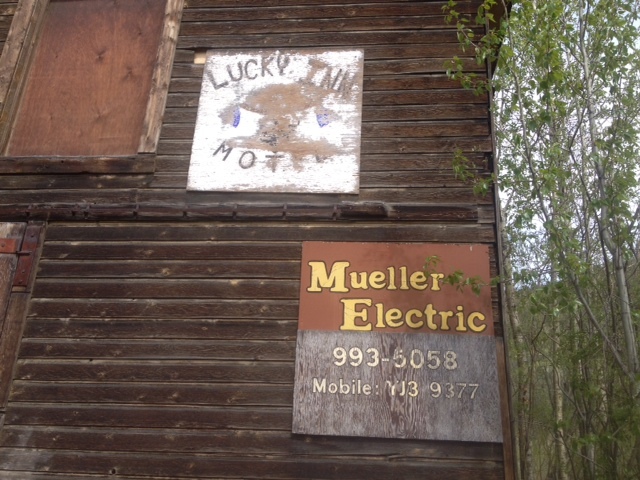 Mueller Electric was established in 1980 in Dawson City, Yukon by Barry Sokolan. The old company sign still hangs in Dawson City Yukon today as a reminder of the companies heritage. The company is very please to announce that we are going back to our roots and have established a new location in Whitehorse and Dawson City Yukon. We are looking forward to working with new and old friends in both B.C. and in the Yukon. The company is now owned and operated by the Sokolan & Schwalm families. The next generation is now working to build on the foundations that have been laid by their fathers. The Mueller Electric head office is located in Williams Lake, B.C. Our new branch's are located in Whitehorse and Dawson City, Yukon. Mueller Electric has built a solid reputation in the province of British Columbia and also in the Yukon territories. With A+ inter-provincial qualification, we service both the industrial and commercial markets. Specializing in supply, installation and maintenance, our primary focus is the Mining, Wood Manufacturing, Co-generation, Petrochemical and Commercial Industries. The foundation of our business is supported by diverse teams of skilled solution providers including estimating, planning teams, project management teams, IT technical resource teams and OHS teams. Our Field team is comprised of highly skilled trades people, trained in a variety of industrial electrical applications. Our operation is supported by a unique industrial electrical solutions facility with complete industrial inventory in Williams Lake. The Mueller Electric head office occupies a 20,000 square foot office, shop, storage and distribution complex in Williams Lake. This complex features a fully equipped panel fabrication shop, a complete electrical rebuild shop as well as multiple facilities for storage and supply. We also have a complete estimating, planning facility and a fully equipped executive conference room. Built on 9 acres in the industrial sector, this facility houses our fleet of trucks, vans, mobile shops and site offices. A series of indoor and outdoor (4x4) man lifts, generators and light towers. Our offices and each of our mobile offices have excellent electronic communications capabilities in such that each can communicate via satellite or DSL. With the assistance of Microsoft Project we can easily monitor cost and scheduling progress on a daily basis from any location. We are looking forward to applying our skill and infrastructure in building the Whitehorse and Dawson City branch’s.